I've been working on an exciting new project for my house these last few days! I thought my kitchen shelves need something a little extra, so I've been busy stitching cherries for some shelf edging. I love the look of these kitschy cherries, if you are a follower of my pinterest boards you will know I love all things vintage, especially kitchenware! which is where the inspiration came for this design. I drew the design freehand, and transfered it to the fabric with an embroidery transfer pen. I'm planning to stitch a scalloped edge for the bottom, maybe with some pretty trim for the top, (unfortunately I don't have enough of that one in the picture - and I have no memory of where I picked it up from. I guess that's my curse for being such a hoarder of crafty goods!). It's my first experience in embroidery, and I'm enjoying every minute. 10 down so far, 33 to go! Let's see if I'm saying that when I'm done?! What a great idea! Your cherries are so sweet and will look so cute as shelf edging. Oh so cute! :o) Your shelves are going to be so charming! :o) By the way, I love your pinterest board. Sew cute Jesse... 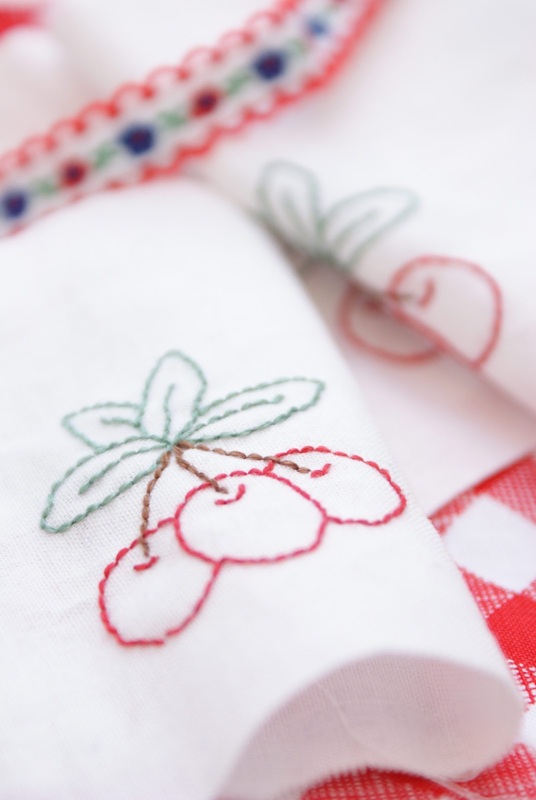 I love embroidered everything, especially cherries:)...and I love that you are using my Sew Cherry red gingham!!! So pretty! I have just found your blog..and followed..I can't wait to read a few more posts now. Oh that is just SO pretty!! Love the cherries. Can't believe it's your first foray into embroidery. 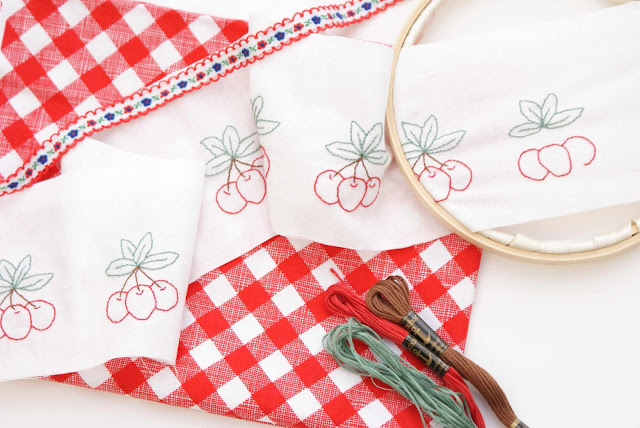 I love these sweet embroidered cherries, they will look so pretty as kitchen shelf edging! You have stitched them so neatly, and the effect is so fresh! 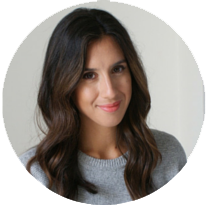 New to your blog, so happy to have found it! Good combination of yarn. I like the idea of putting this art of handicraft into a much impressive style. Much love the cherries. Looking forward to see your new craft blog.